Wendy Forrester Mediation Center is dedicated to resolving conflicts without confrontation. Unlike traditional divorce proceedings, we bring families together so they can live successful lives apart. What is divorce mediation? Learn the answers to all your questions here. What to say to the children? One of the best arguments for divorce mediation is how it lessens the impact of divorce on the children. All parents need to learn new ways of helping their children cope with the new state of their lives. Looking for more information? See our helpful list of suggested book and article reading. From time to time we come across interesting news and articles that we think may be of interest to our clients. We are here at any time to answer your questions, ease your fears and enable the process of peaceful mediation. Wendy Forrester is an experienced attorney, mediator and legal educator. 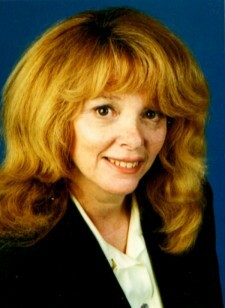 She has been a member of the California State Bar since 1985. As a family law attorney, she sought a more compassionate and economical approach to divorce. Finding that mediation best addressed the needs of families, she began mediating in 1988. As a family law attorney, she sought a more compassionate and economical approach to divorce. Finding that mediation best addressed the needs of families, she began mediating in 1988. With over two decades of mediation experience, her practice focuses exclusively on family mediation. As a leader in the profession, Wendy serves on the Board of Directors of the Southern California Mediation Association (SCMA) and was recently elected to a two year term as Chair of Membership. She is an Instructor at University of California, Santa Barbara in the Mediation and Dispute Resolution Certificate Program where she teaches Divorce Mediation and Family Mediation courses. Wendy also served as the Associate Director of California Lawyers for the Arts where she trained mediators and resolved arts and entertainment disputes. Wendy has lectured widely and provided training in mediation at schools, universities and to professional organizations. Active in the profession, she has served on the Coordinating Committee of Mediators Beyond Borders and the Executive Committee of the ADR Section of the Beverly Hills Bar Association. She is a member of Southern California Mediation Association, California State Bar Association, Family Law Section, Coalition for Collaborative Divorce, Mediators Beyond Borders and the San Fernando Valley Bar Association. Mediation acknowledges the individual concerns and values of each family. Each party is provided the opportunity to be heard and understood. As a mediator, I guide you through issues of parenting, support and the division of property and debt. The outcome is a mutually satisfying agreement that takes into account the legal and financial needs of each family member. Our comprehensive approach satisfies the legal, financial and emotional needs of families undergoing divorce. My office prepares and files court documents, so you don’t go to court. Mediation is offered in a safe and comfortable environment. Mediations are scheduled according to your schedule, not the court’s. Contact our offices for a complimentary mediation consultation. Mediation, a better alternative to the bitter divorce.